I used the Irresistibly Floral Designer Series Paper. 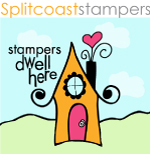 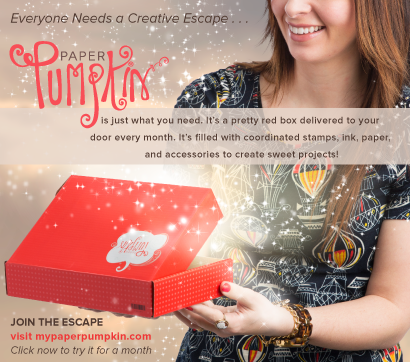 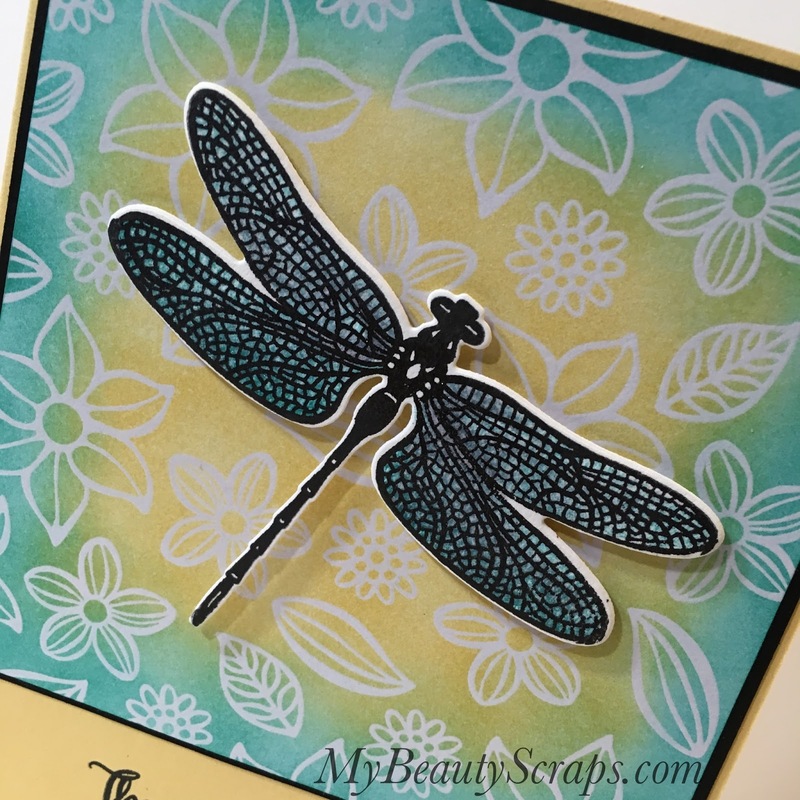 It takes the embossing step out of the emboss resist technique and makes this card quick & easy! 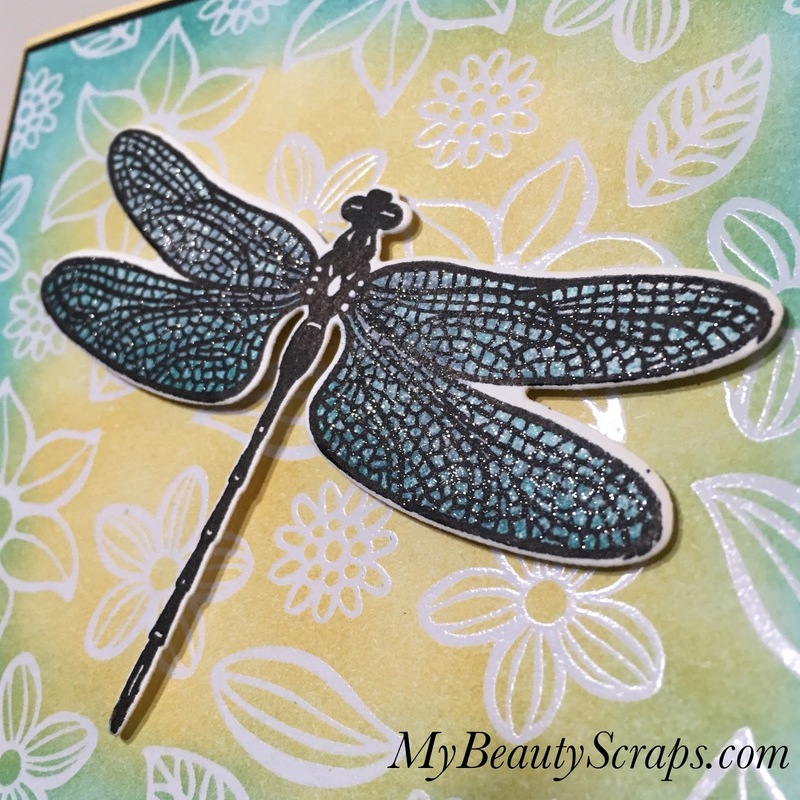 Here you can see the beautiful shine that the Wink of Stella brush pen adds to the dragonfly wings. 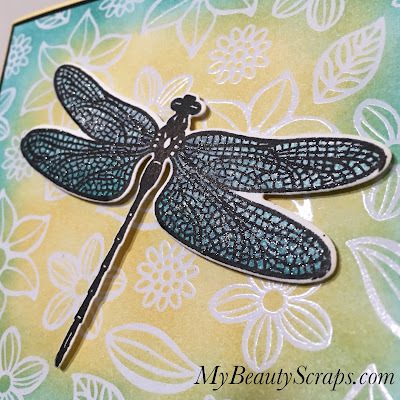 I love how it adds glitter with absolutely no mess at all! 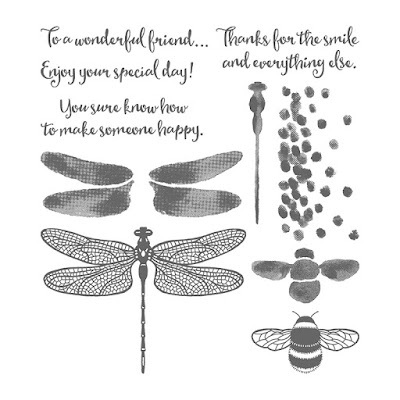 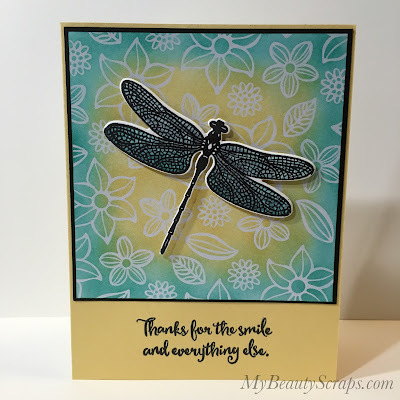 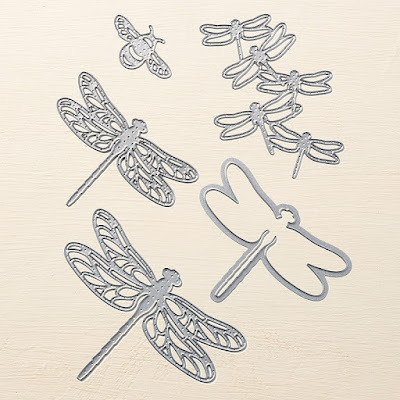 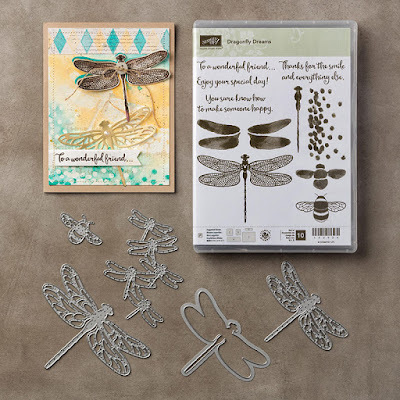 In the video below I share step by step, how to create this sparkly dragonfly card using the emboss resist technique.